This entry was written by daveshields, posted on September 2, 2012 at 22:01, filed under open-source and tagged snobol, spitbol snobol4 linux osx. Bookmark the permalink. Follow any comments here with the RSS feed for this post. Post a comment or leave a trackback: Trackback URL. back in the 1970s. After, learned around 15 more languages and worked professionally as a programmer until I entered medical school when I was 28. 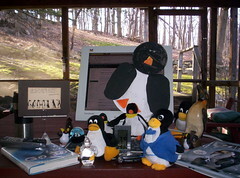 I found your site today, downloaded v13.05 to an Ubuntu 10.04.4 LTS machine, built it, and ran sanity-check. All appears well. Will let you know more as I fool around with Spitbol for the first time in decades. Last time I used Spitbol was in the late 70’s, doing some work on natural language processing, on an IBM system. Many thanks for making your work available to fossils like me (and others!). I’ve been looking at some of the source code for the Spitbol compiler, and I’m amazed at the compactness of the code generator, asm.spt. It reminds me a bit of a one-pass C compiler that I maintained at Cadmus computers back in the 80’s. I re-targeted that compiler to the Motorola 68020 processor and added a peep hole optimizer at the same time. Later, that compiler got a basic block optimizer as well, with plans for a global optimizer in the works when Cadmus got sold to Apple. I have a Raspberry Pi computer and, while playing around learning python, remembered the Snobol I learned in college. I was impressed with its string handling ability, something which could be done in other languages but with uuuugly code. it appears you were/are working on a port of Snobol for ARM computers. How’s that going? Thanks for your effort keeping Snobol alive. I’m not working on the port to ARM. However, I am doing a port using the Go language (golang). One reason I’m doing this — aside from the fun of it — is that this should work on ARM.